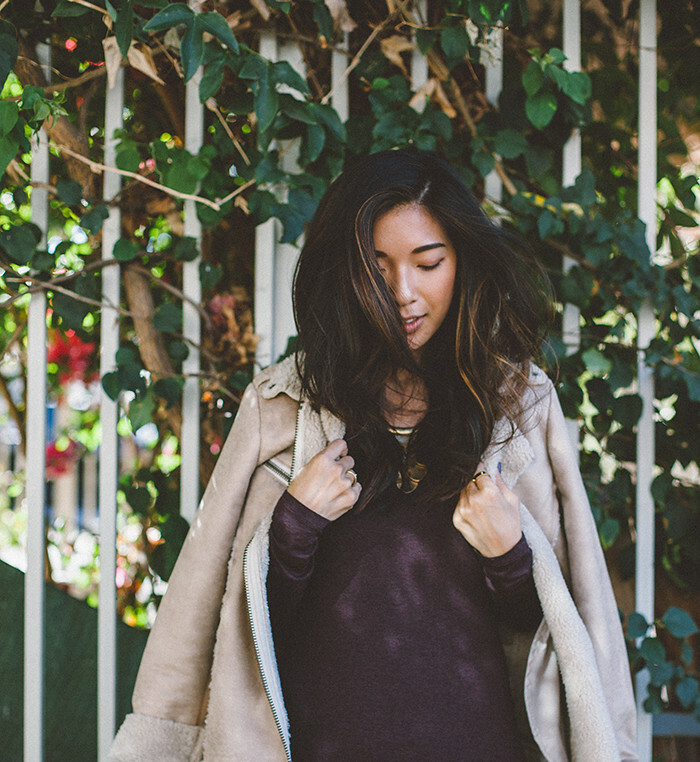 A comfortable maxi and warm sherpa effortlessly helped transition me into autumn in New York City. Red 23 dress. Current/Elliott jacket. Kelsi Dagger shoes. Chloe + Isabel necklace. Maxi dresses are my go-to wear for flying long haul and soft, breathable fabrics are essential to staying comfortable in the seat. I'm currently in New York, experiencing my first, breathtaking autumn in years and I'm looking forward to another three whole days of leisure and spontaneity in the city. I can't wait to share some snaps from moments that have captured my soul and provoked musings of permanent habitation in the city. But still, my heart is missing home and I'm already looking forward to being back in LA for a couple of exciting events. 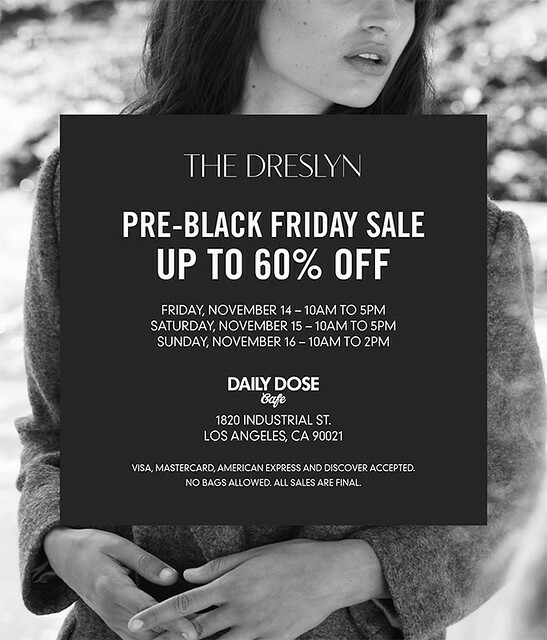 This Friday November 14th through Sunday November 16th, my favorite luxe e-retailer The Dreslyn is hosting their first pre-Black Friday sale at The Daily Dose cafe in downtown Los Angeles. Serious designer labels like Carven, Rag & Bone, Helmut Lang, and many others from the current season Fall 2014 will be marked up to 60% off! This is something I wouldn't dare miss and if you checked out The Dreslyn's sample sale a couple of months ago, you know what I'm talking about. Gorgeous! Could you please let me know what you use to edit your pictures and how you get them slightly grainy? I love how you put up your photos! Loving that statement necklace and comfy looking coat!